At House & Sun, Inc. we've specialized in energy-efficient green building for over 35 years. We've supplied and installed super-insulated Structural Insulated Panels (SIPs) for residential, commercial, and institutional projects. We also specialize in top-quality sunrooms and conservatories. Homes and commercial buildings built with SIPs are not just top performers in terms of energy efficiency, they are also significantly more comfortable places to live and work than conventionally framed buildings. SIPs are composed of a continuous core of rigid foam insulation, which is laminated between two layers of structural board (usually oriented strand board) to form a single, solid structural panel. Department of Energy testing shows free-standing, self-supporting SIPs out-perform wood frame construction hands down: they are more than twice as strong as stick framing, have ten times the racking resistance, and substantially reduce heat transfer, air infiltration, and outside noise. 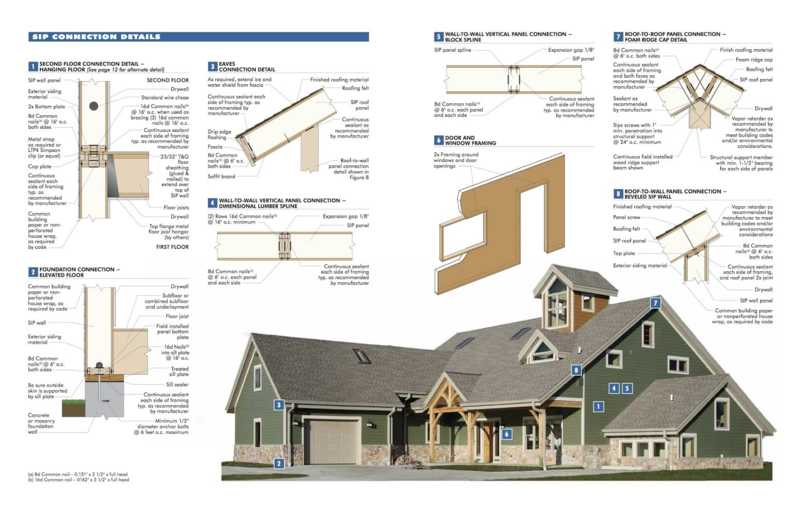 We have several different foam core types, in a variety of thicknesses and R-factors, for walls, roofs, and floors. House & Sun offers SIP installation services throughout New England. House & Sun, Inc. also provides nail base panels, which are non-structural, for deep-energy retro-fits on existing buildings. They can also be used for new construction and come in solid foam and vented versions for both walls and roofs. Use the form below to contact us for more information or a free estimate on your next project. You may also email us to make an appointment.